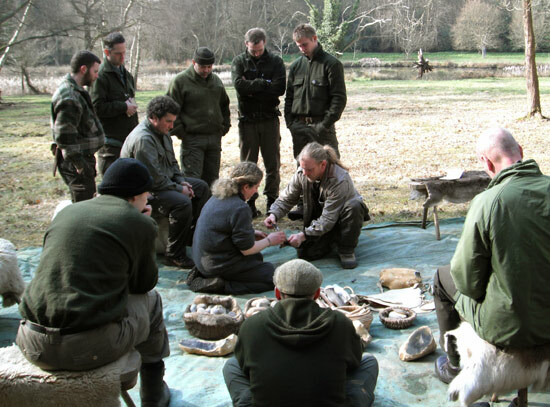 On the 18th – 20th March this year, Woodlore held an induction weekend for the new field staff whom we recruited in the winter. The new staff were put through their paces learning the ropes of setting up and taking down camp, learning where the sites are that we use for courses, as well as the routes to local supermarkets and hospitals. On this note, we would like to welcome Rob Bashford, Mark Booton, Ross Burt, Steve Corbyn, Iain Gair and Susan Hipkin to the team this year, and we wish them all the best for the forthcoming season. Some of you may remember Rob from a few years ago, who has now returned to Woodlore after a couple of years pursuing other avenues. At the end of the week, Woodlore’s Directors Ray and Steve Gurney presented staff members Brian Fox, Keith Whitehead, Nick Thompson, and Ian Lawson their Aspirant Instructor certificates for the tests which they had passed earlier in the year. Sarah Day also passed the AI test this year, but was unfortunately unable to attend the Training Week. 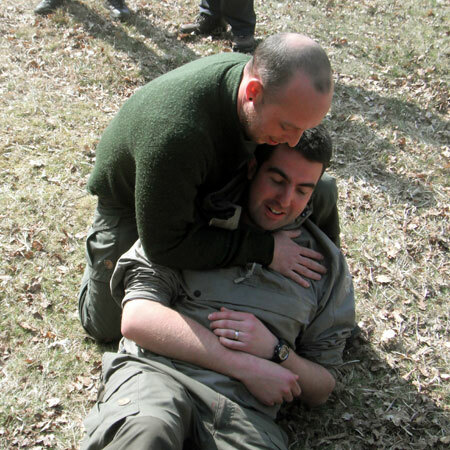 Following on from this, James Bath and Dan Hume were awarded their Fundamental Instructor certificates. The week was finished with a fantastic meal of roast chicken with roasted vegetables, pizzas and bannock, all prepared and cooked in the woods by the team, who were joined by the office team for a great evening. 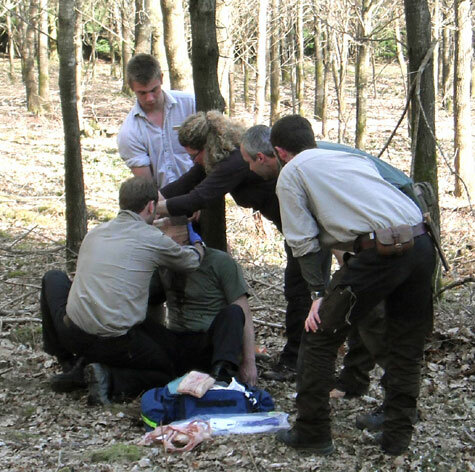 This entry was posted in The Woodlore Team on April 7, 2011 by Woodlore Team. Great to see James pretending to be injured after the Arctic Course and to see that he has literally shaved off a few pounds! All the best and hopefully see you on a 2011 or 2012 course or expedition. Great to see Iain enjoying the flintknapping demonstration. He is in his element. Congratulations to all! A special well done to Iain & Susan, who I had the pleasure of knowing on previous courses. Congratulations all. Well deserved pizza.